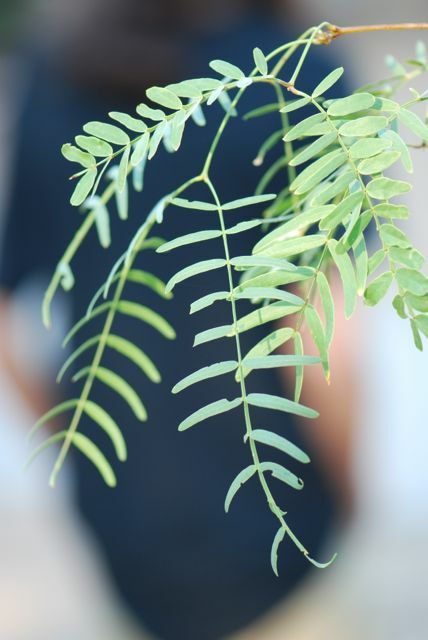 Our mystery seeds from last week were indeed from a mesquite tree, in particular the Texas honey mesquite, Prosopis glandulosa. 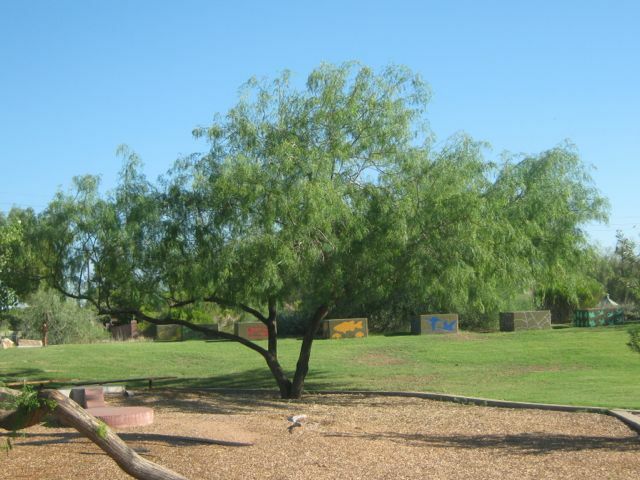 Honey mesquites are popular landscape trees in the Southwest. They are known to produce a low, very wide canopy. The compound leaves form a drooping, upside-down Y-shape. Can you see the Y? Some of the mesquites can be hard to tell apart. 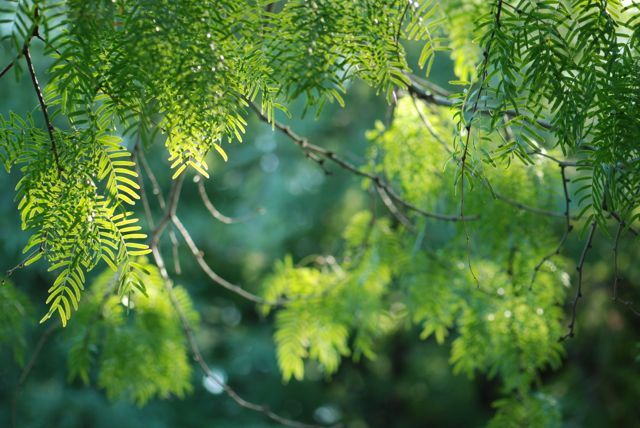 For example, the screwbean mesquite also has Y-shaped leaves, but they tend to be shorter and more compact. The screwbean mesquite seed pods are also distinctly different from those of the honey mesquite. 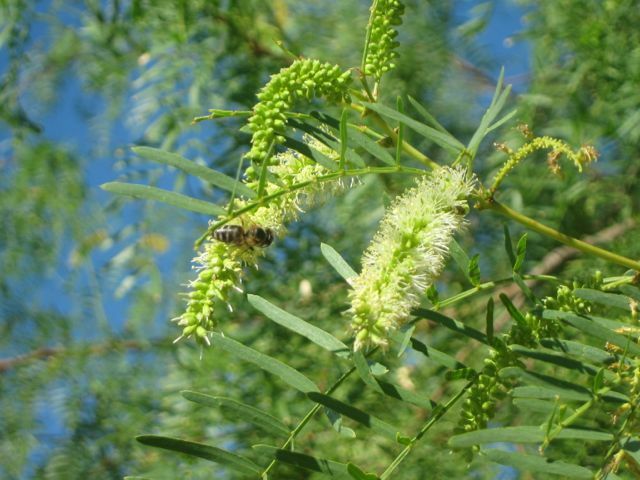 The honey mesquite has drooping leaves and branches that give a delicate appearance, almost like a weeping willow. The flowers are long and pale yellow. Honey bees often collect nectar from these flowers. 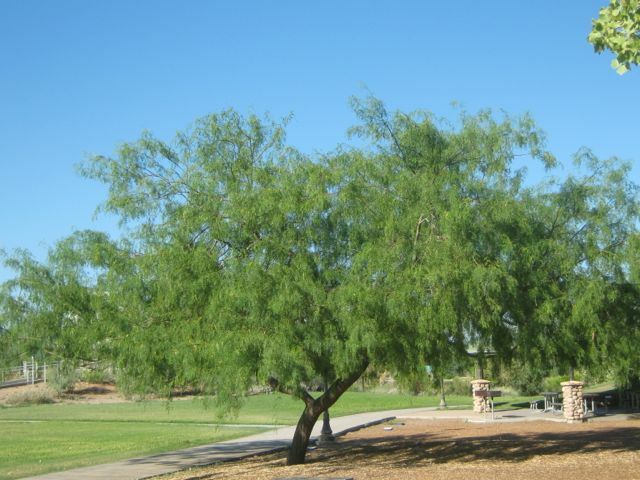 Overall, the honey mesquite is a "sweet" tree if you live in the Southwest.